Leonardo Carosello first appears in at Painesville, Lake County, Ohio, about 1901. He moved with his wife and daughter from West Virginia. In America, Leonardo Carosello was known Leonard D. Francis. Leonardo Carosello was born on Wednesday December 6, 1871, at Italy. Leonardo married Jennie Ambler on February 6, 1895, at Taylor County, West Virginia. Jennie Ambler was born at Ohio. Leonardo died on March 11, 1937, at the car shop of the Baltimore and Ohio railroad, Painesville, Ohio, at age 65, of acute myocarditis. 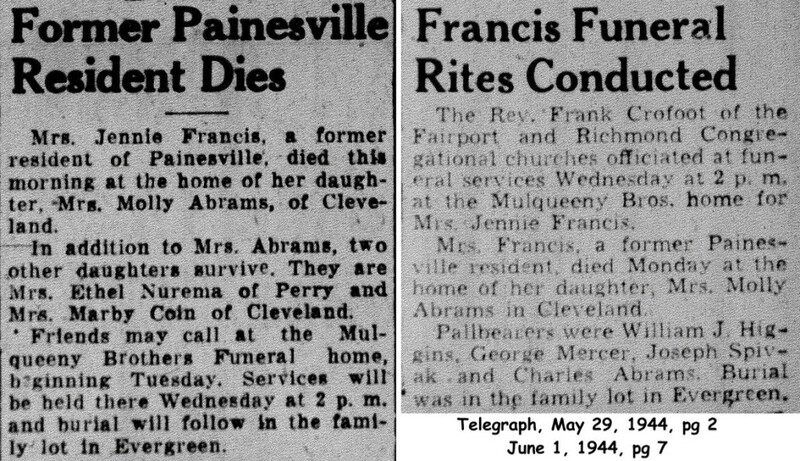 His body was interred at Evergreen Cemetery at Painesville, Lake County, Ohio. Leonardo Carosello immigrated to the United States about 1885. 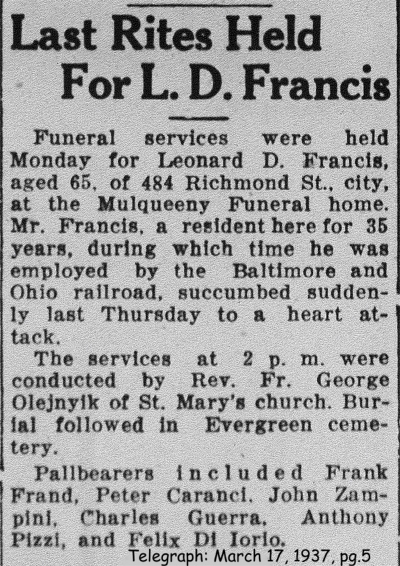 Mr. Francis was employed by the Baltimore and Ohio Railroad at the time of his death. 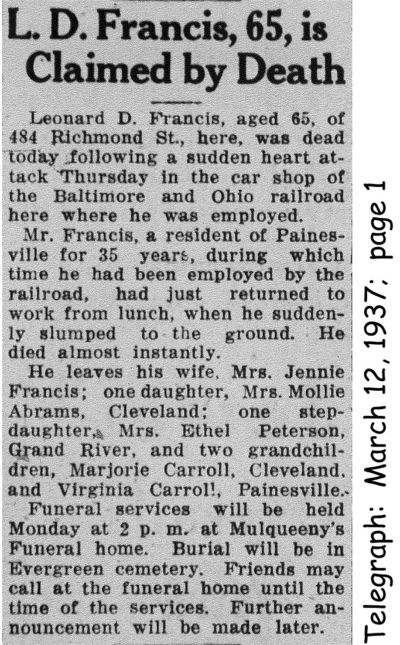 He resided at 484 Richmond Street, Painesville, Ohio, when he passed away. 1. Molly Carosello was born about 1896, at Coalton, West Virginia. Molly married Charles Abrams, son of Abraham and Katie Abrams, on August 18, 1930, at Cuyahoga County, Ohio.